Tax Services – Our tax services range from individual and Fiduciary returns to complex business returns encompassing compliance and research to promote the best possible tax situation for our clients. We find ourselves assisting other friends and associates in our field who lean on us for assistance in these areas especially in technical research. We proactively assist our clients in analyzing the benefits and costs involved in acquisitions, dispositions, mergers, split-ups and any other type of business venture transactions. The assistance can range anywhere from various discussions to a full blown analysis of books and records including a detailed report. Audits - Compilations - Reviews - Agreed Upon Procedures. Whether you need reporting for financial institutions, partners or for internal use, we offer full service reporting. We work closely with you and your staff to provide timely accurate statements. We pride ourselves in appropriate planning and analysis when advising our clients on going into a new venture. Our planning will advise you on the appropriate entity and explain the tax savings and advantages of each entity as well as advising you on the appropriate compensation structure and exit strategies if needed. From start to finish, we keep you on track to meet your deadlines. Clear communication makes for a great relationship. We make every effort to complete your work timely! Federal, single state, multi-state, no problem. We can help prepare and advise for ofall your needs. We can help you be informed and know your tax situation. The relationship between accountant and client is very important. We maintain long term relationships which aid in helping you and your business to have a successful future. We will help you to keep your financial records accurate and timely. We offer bookkeeping services to help you maintain proper recording. From individuals, small business to real estate professionals, we are here to help! Proficient in many different software titles. Knowledgable professionals work closely with our clients. Reasonable pricing to help your bottom line. Our clients are our main priority. Whether you're an individual or large business, we give you the attention you deserve. Our team (Your Team! that is..) is comprised of knowledgable professional who have been in the accounting field for many years. 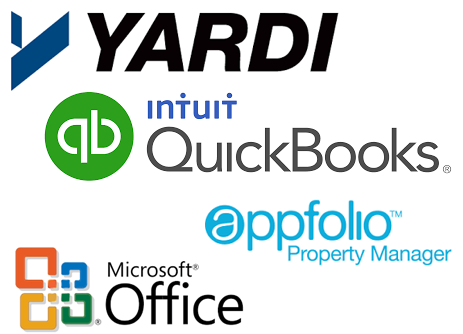 Out partners have worked for some of the largest accounting firms around. When Tucker Fornale & Associates LLC was started, our goal was to provide top service and knowledge at an affordable rate. or click the button for other contact methods!